One May afternoon in 1989, ten-year-old Noah's parents pick him up from school and announce that he must immediately assume a new name (Jonah), memorize a new birth date and family history, and travel with his parents not to "usual Germany" but behind the Iron Curtain to East Germany. Once the family is in East Berlin, there are many rules they must follow. Private conversations can only be held outdoors. Jonah cannot attend school until he is granted special permission. And Jonah cannot spend time with Claudia, whom he nicknames Cloud, even though they live in the same building and are approximately the same age. Throughout this experience, Noah doesn't understand that his parents are spies, or that his life and theirs might be in danger, but because of his connection to Cloud, his experience living in East Germany changes his life forever. The way the story is told makes it especially compelling. 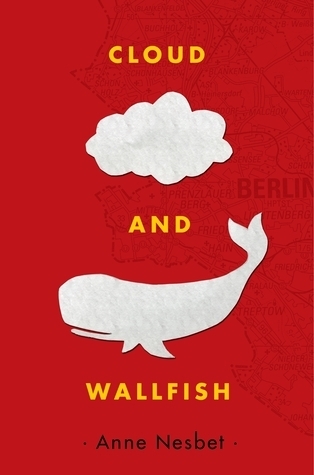 The reader experiences the sudden uprooting of Noah's entire life right alongside him, sharing in his surprise and bewilderment, and trying with him to piece together the clues that will help him understand what his parents are really doing in East Germany. Because Noah is never sure what is happening, the reader feels a constant tug of suspense that makes him want to keep reading. Even if the reader realizes that Noah's parents are spies, there is still the question of whether, when, and how Noah will figure it out himself. Also very helpful are the conversational author's notes tacked onto each chapter. Though there is a more formal note at the end of the book, these short explanations give just enough information to help kids properly contextualize Noah's story. I was a week or so shy of seven years old when the Berlin Wall fell, so this book would not have existed during my childhood, but I sure wish it had been available sooner. Even in high school, I don't think I was taught much about the Cold War, and I was definitely not given any insight into what it might have been like to be an East German or an American spy in the late 1980s. So even though I am decidedly not the intended audience for this book, I found it helpful for filling in some of the gaps in my own education. I can imagine it will be just as illuminating for today's kids, who may not have any knowledge of the Cold War at all. I also found it timely - and distressing - given the daily news coverage of attacks on free speech on college campuses. Controlling when and how people are allowed to express themselves is dangerous, and this book drives that point home very well without ever explicitly stating a moral at all. Oh wow our library has this! just reserved it. I was older than you when the Wall came down, oh the excitement that finally it was happening!! Katie, I'm a librarian in Chicagoland and I have been reading your blog for a long time and love it! May I make a small correction? Private conversations can only be held outdoors, in this book, because there aren't any microphones. Daisy, thanks for that correction of my typo! I'm glad you enjoy the blog.